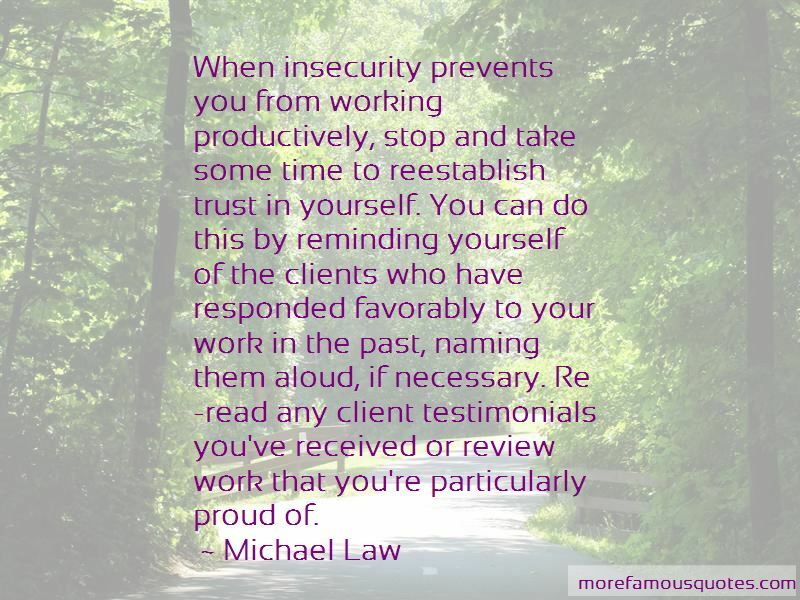 Enjoy the top 4 famous quotes, sayings and quotations by Michael Law. 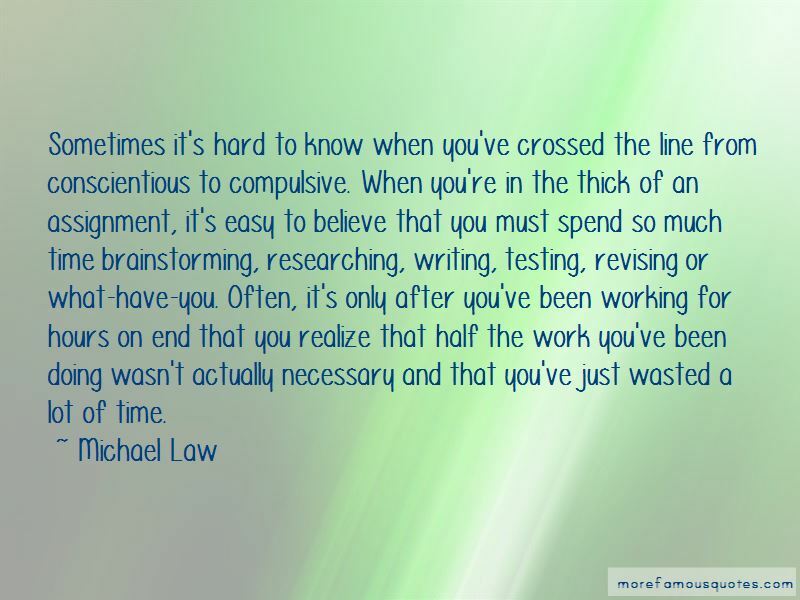 Sometimes it's hard to know when you've crossed the line from conscientious to compulsive. When you're in the thick of an assignment, it's easy to believe that you must spend so much time brainstorming, researching, writing, testing, revising or what-have-you. Often, it's only after you've been working for hours on end that you realize that half the work you've been doing wasn't actually necessary and that you've just wasted a lot of time. 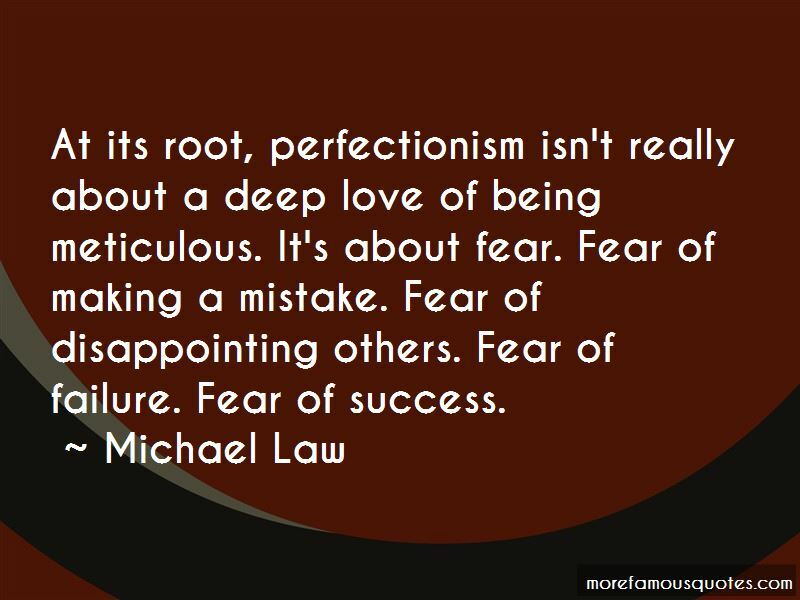 Want to see more pictures of Michael Law quotes? 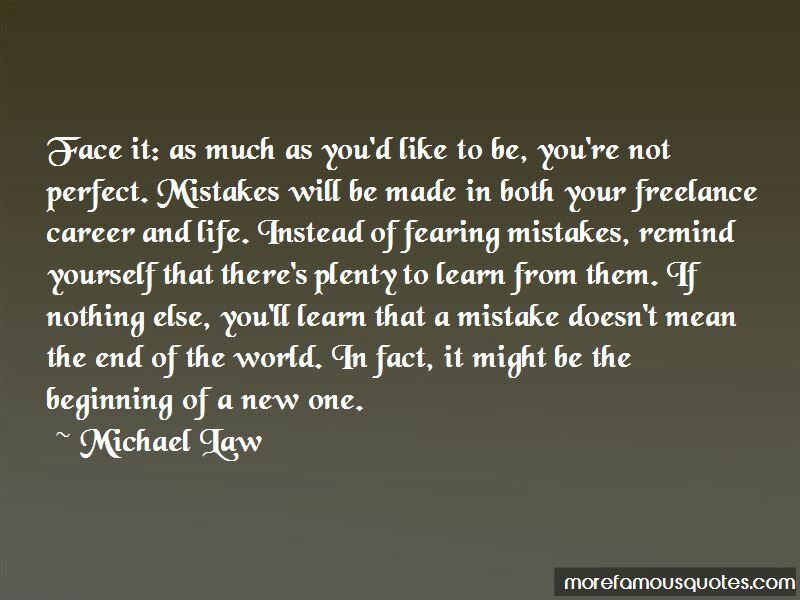 Click on image of Michael Law quotes to view full size.